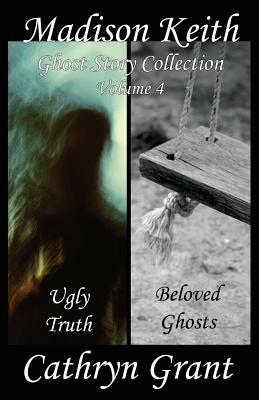 This collection includes the final two novellas in the Madison Keith Suburban Noir Ghost Story series: Ugly Truth and Beloved Ghosts. In Ugly Truth, Madison is confronted by an entity whose message could destroy the pastor of the church where she works. Still trying to reconcile her parents' murders, she's forced to expose her past in order to deal with this spirit haunting the church basement. While wanting to know the truth about her parents, it is truth that may bring devastation to this small church. Putting her job on the line, she must decide whether or not she can be true to herself. In Beloved Ghosts, the final novella of this series, Madison is consumed by her desire to find the ghosts from her past and allow them to rest. The contents of her childhood journals are both disappointing and surprising. She hardly notices JD standing by her side as she discovers increasing horrors in her past, and begins to wonder if she'll ever find peace.